It's been 25 years to the day since we first stepped foot in the fantastical universe of The Elder Scrolls. 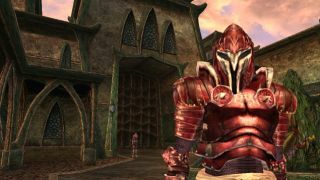 To celebrate, Bethesda is offering players The Elder Scrolls III: Morrowind for free on PC today only, March 25. To claim your free copy of Morrowind on PC, you need to do the following. First, create a free Bethesda.net account, then log into your account and redeem the code TES25TH-MORROWIND to receive Morrowind on your Bethesda.net account. The game will now be added to your account. To play it, download the download the Bethesda launcher. Remember, this offer only applies on March 25. We can't help but think the 25th anniversary of The Elder Scrolls series is the perfect time to give us more juicy details on the upcoming Elder Scrolls 6, but we could be waiting a while considering the current 'Redfall' naming dispute seems to be putting a spanner in the works. You can check out Bethesda's full list of anniversary events over on its official website.